It's all about the ingredients !!! 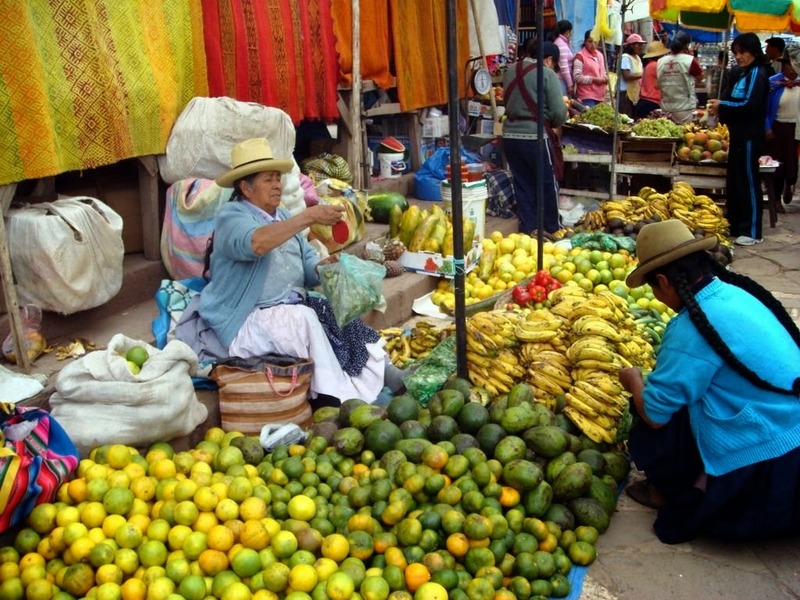 Pisac Mercado, a town in the city of Cuzco, every girl grows going to the Mercado with our mothers, we learn to pick our ingredients from a very young age. 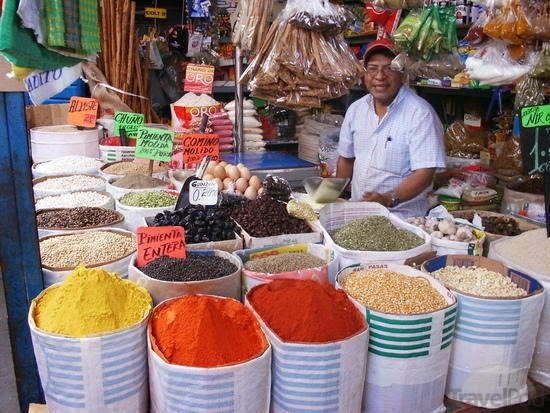 This picture is not mine, I Google the picture because i wanted you to see, what it looks to buy ingredients and how the colors call ones attention. When we are going to start cooking professionally there are many steps before we go into the actually cooking. We can count on learning professionalism, nutrition, food safety and sanitation; we learn about how to make menus and the understanding and importance of recipes and specially standardized cooking; there is also a chapter on tools and equipment. All this is taught before or at the same time that you are learning about the techniques and cooking methods. In some schools they take each ingredient and educate you in how to use them each one individually to then make it part of a recipe. 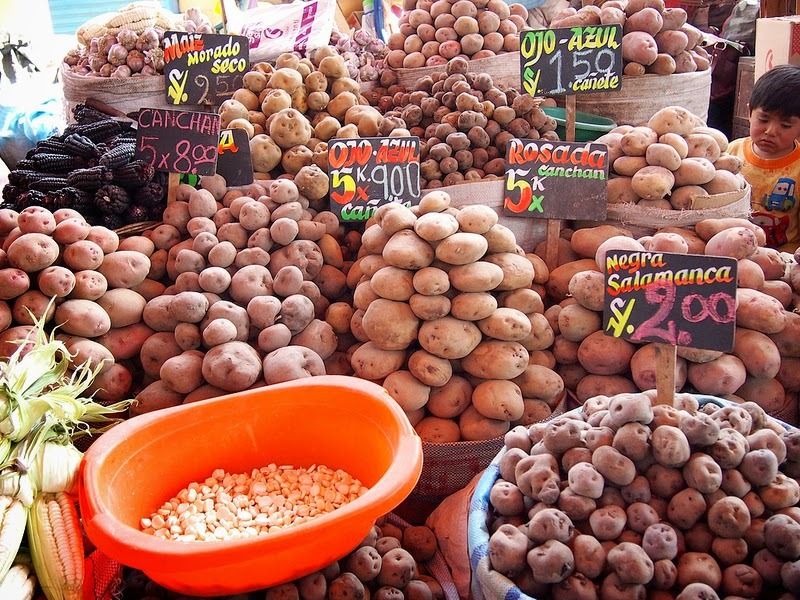 Today I only dream on seen the many varieties of potatoes, i read in an article a little bit ago that Peru have around 100 potato varieties. 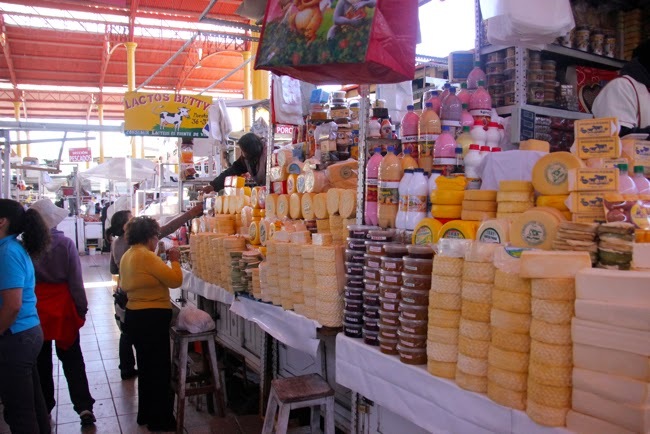 Again is not my picture i Google this picture for you to picture a Mercado and i want you to see the importance into knowing how to pick what is best. Let's use one of the most common ingredients of any home, potatoes. Potatoes can vary from mealy to waxy and learning that gives you the understanding on how to use them correctly in any food preparation; with that been said, the Cook now have the necessary knowledge to choose the right potato for his dish in mind. But it works the other way around as well, if you have waxy potatoes in hand, you will not try to make mashed potatoes with that. Also part of the learning goes into how to correctly store your raw product as well as your cook product, this helps the Cook to also take advantage of seasonal prices and abundance by the means of preservation techniques. In conclusion It's all about the ingredients and what they bring to your plate, from their flavor and nutrition to their textures and colors. And how the final picture will look. Remember everything comes first through our eyes. Look at those colors, I so much wish to be there right now. Cheese, and more Cheese, which one better then the other one.